Spoken to people that saw Star Wars Episode 8 footage at License Expo in Vegas. Wondering if it's same footage they show at Celebration. Forgot to mention along with Episode 8 footage select people yesterday got to see a lot of Rogue One footage. They said it looked great. The most interesting thing we can take away from his tweets is the mention of Celebration. 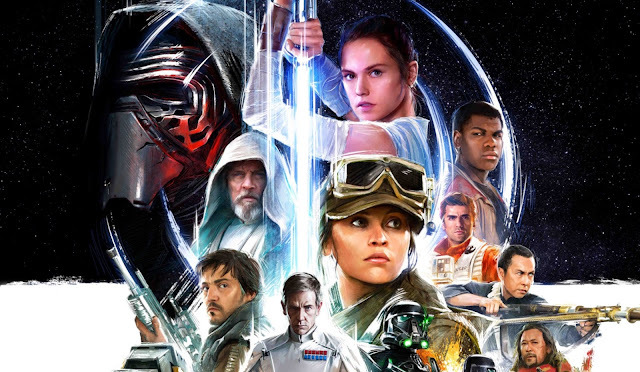 Could we be seeing footage from both films at Star Wars Celebration Europe 2016? While we will undoubtedly be getting a new trailer for Rogue One at this year's Celebration, I also think there's a good chance that Episode VIII will have a big showing at the convention as well. Over the past few months there seems to have been some confusion amongst the general public about whether or not Rogue One was actually Episode VIII. While Rogue One will sure have the focus at Celebration in London, giving Episode VIII some time to shine would help distinguish the two films. I'm willing to bet we will at least get a title for Episode VIII, and perhaps a short teaser trailer. Either way, July 15th - 17th is sure to be an incredibly exciting time for Star Wars fans!